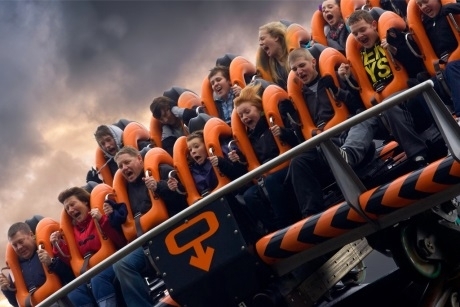 The theme park in Staffordshire has revealed that it will be opening a new attraction – its dungeons – and with it an educational History session for schools. The Alton Towers Dungeons will allow students to experience the darker side of the theme park and the local area’s history. When visiting the new attraction, Key Stage 2 and 3 school groups will also be able to enjoy a new session, called Hideous Histories, described as an interactive local History study. The session will have pupils join the education team to find out the truth behind the historical stories that reside at the theme park. Questions students will uncover include how Alton Towers Resort began its life almost 700 years ago and what secrets lie within. As well as whose idea it was to create a national haven, where people would flock to for hundreds of years to come. Pupils will also learn how the resort has developed over time into something that would eventually become a heritage site, and who was responsible for transforming a stately home into a gothic revival mansion. Finally, groups will investigate how the estate eventually ended up becoming a theme park. School groups can enjoy a number of talks and workshops in the special education centre which has a small lecture room as well as workshop rooms. A visit can be tied into Business Studies and Travel & Tourism, as well as Humanities and STEM subjects. Talks can include Becoming Chosen - the psychology of a rollercoaster, Design and Technology - Creating Wicker Man, and The Impact of Computer Technology at Alton Towers Resort. For more information, visit www.altontowers.com.